Are Dental Implants Too Expensive? Perhaps you have considered dental implants but think the price is too steep. 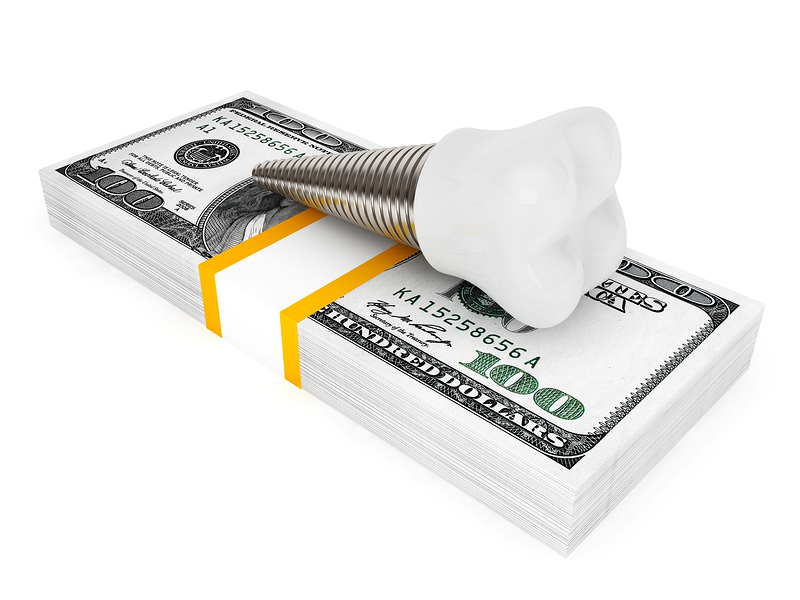 One of the persistent misconceptions about tooth implants is that they are too pricey. Let’s talk about the cost of dental implants, one of our many cosmetic dentistry options available at Cary Family Dental in the Raleigh and Cary, North Carolina areas. A permanent dental implant is not cheap, it is a costly treatment. But you need to look at the whole picture when comparing dental implants to alternative restoration options. There are many styles of conventional dentures and a broad range of price points. While the upfront expense of dentures may be less, they need regular relines and occasional replacement. Dental bridges aren’t designed to last as long as implant dentistry. They typically last from 7 to 10 years with proper care. An issue with dental bridges is that it is often difficult to clean under and around them. Because of this, some dental bridge patients develop cavities in adjacent teeth. Restoring decayed teeth can be a collateral expense if the patient doesn’t adequately clean the teeth and gums around the bridge. Dental implants last much longer. Though implant manufacturers won’t allow us to promise that the implant will last indefinitely, with proper dental hygiene and twice-yearly dental visits, they can be a final solution. We have patients whose implants are doing fine even though they have been in place beyond the estimated life span. We invite you to schedule an implant consultation. We can discuss your oral condition and how long you can expect dental implants to last. It’s important to understand that the crown placed on the abutment may not last as long as the post. A crown is designed to last from 10 to 15 years. Can You Put A Price On Beautiful Teeth That Function Like Your Natural Teeth? Dental implants provide near-natural function and look identical to natural teeth. Implants don’t have the drawbacks of dentures. They don’t slide around, restrict taste, or irritate gums. Can You Put A Price On Your Face? Implants protect against bone loss that changes the shape of the face, causing the cheeks and chin area to sink. Bone loss can make you look far older than your years. At Cary Family Dental we believe that durable dental implants are a beneficial investment because they have such a profound effect on one’s quality of life. Do you have missing teeth? We invite you to set up a consultation. We can answer all of your dental implant questions and discuss financing options.